As we all wait with baited breath – possibly – for Theresa May’s Florence speech, I’d like to explore one aspect of Article 50 that’s been visible but somewhat under-considered: the time constraint. Having talked with various people in Brussels and London in recent weeks, I’ve been struck by how time is seen both as a help and a hindrance. On the one side, it ensures that the UK cannot be stopped from leaving (good if you’re a Brexiteer); it helps to concentrate minds (good for both sides); and it seems to provide leverage (of which more in a bit). On the other, there is also a growing sense – especially on the EU side – that there might not be enough time to conclude any deal, despite the positive movement that has taken place so far. We’re not yet in the panic stage of things, but the recent (and sympathetically-received) calls to up the tempo of talks suggests that there is ever-more purpose to not waste time. But how does this play out in more abstract, negotiation theory terms? Timing is a key part of negotiation models, in two main areas. The first is in the selecting of preferences. You can make an outcome more or less attractive or possible by invoking time constraints. Think about when your boss asks for a report on X by the end of the day: you can then use that deadline to shape what they might reasonably expect you to produce. Likewise, we can see this happening in Article 50. For example, the lack of overt planning for a ‘no-deal’ scenario by the UK – e.g. procurement for border surveillance equipment or new customs officers – means that the EU is in a position to encourage the UK to adopt a transition period that looks relatively close to membership. 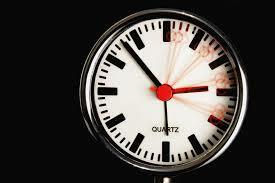 Time is thus deeply linked with capacity. However, crucial in this preference selection is the need for credible alternatives. It’s not enough to say that ‘outcome A is terrible for you’; there also has to be ‘outcome B is waiting to be discussed’. At present, neither side in Article 50 has such a detailed plan. This is for the fairly obvious reason that if one existed, then it would become the baseline for haggling and neither party wants to concede any ground at this stage. As a result, the UK is still looking at the range of options in any given area, while the EU has been relatively agnostic about what model it prefers, remaining more focused on preserving its legal integrity. As a result, we find ourselves in a situation where outcomes are being less attractive, but without a balancing advance of more attractive resolution: the Northern Irish case is the most obvious case right now. Time also matters in another, more fundamental, way. As I’ve discussed before, crucial to any negotiation is the idea of a BATNA, the best alternative to a negotiated agreement, i.e. what you can get if you walk away. In the context of Article 50, there is a timescale of two years, so there is a credible situation where BATNAs will apply to all parties: by design or by accident, it is possible that no deal is reached. What matters is how those parties see their own and their opponents’ BATNAs. If you feel you can get more out of not agreeing than of agreeing, then why agree, unless you can convince your opponent of this fact, in which case they might have an incentive to improve their offer? As we know, there is no formal and published work done on the implications of a no-deal, so we might assume that this suggests either a) incomplete knowledge, or b) work has been done and it doesn’t look good. I’d tend to the latter view, but with a healthy splash of the former, just to make it interesting. The problem that generates is that self-delusion starts to play a role, which is never a good look in such situations. It is clear that the BATNA element plays a role, especially on the UK side, usually expressed as ‘it’s in their interest to do a deal with us, given the size of our market’. And, in fairness, very few people in European circles do want this to result in a no-deal. However, the identification of an interest in a deal is not the same as a deal. As I observed in a Twitter thread earlier this week, there’s a lot of assuming that ‘things will work themselves out’. Even if in its most restricted and minimal form, an Article 50 deal will have to cover a lot of ground. Phase I resolutions of at least some kind will be required: commitments on money, enough on citizens’ rights not to result in a European Parliament veto, enough on the Irish border to keep the Irish pushing for a veto. And there would have to be a skeleton framework on Phase II: a forum for talking more (easy enough), and agreement on what a transition looks like (much less easy). And all done in a way that the Conservative party can swallow. Just because the BATNAs look bad, it doesn’t make any of this easier; and again, neither side has a plan B to pull out from its pocket. The scope for a late-night deal on the edges of an October 2018 European Council is very limited indeed. Of course, time might also play a role in the discussion of an extension. By mutual and unanimous agreement, more time can be added to Article 50. If we assume that for many member states there isn’t a strong preference on this, this will come down to a relatively small number of key actors. The Commission is only likely to propose this if there has been very substantial progress, but it does not hold an actual veto, so it will come down to whether the interests of the states are well-served. Whilst it might be good to avoid a cliff-edge, members of the EU will see an opportunity to extract concessions (‘we’ll agree, on condition that…’), while the domestic debate in the UK would be potentially toxic to any government in power. Add to this the complication that an extension would be much harder to push for in October 2018 (when negotiations are wrapping up) than March 2019 (when ratifications are in train) and it seems that need for favourable prior progress is all the more important. And that, in turn, makes it harder to use that aspect of time to shape negotiations: a good faith strategy looks much more credible and viable. To pull all this together, Article 50 does not offer a particularly conducive environment for trying time-based gambits, either on the shaping of preferences or the advancement of a deal. Any one who plays with time is likely to get their fingers burnt.